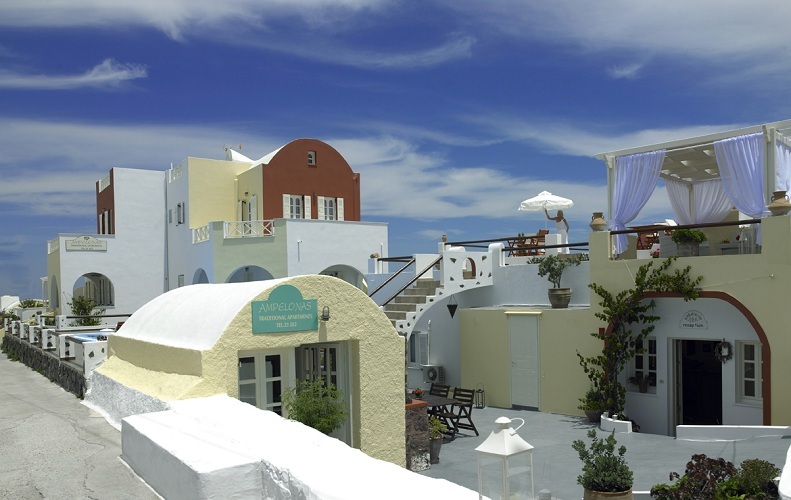 In the beautiful village of Imerovigli, on Santorini island, there are the traditional apartments Ampelonas. 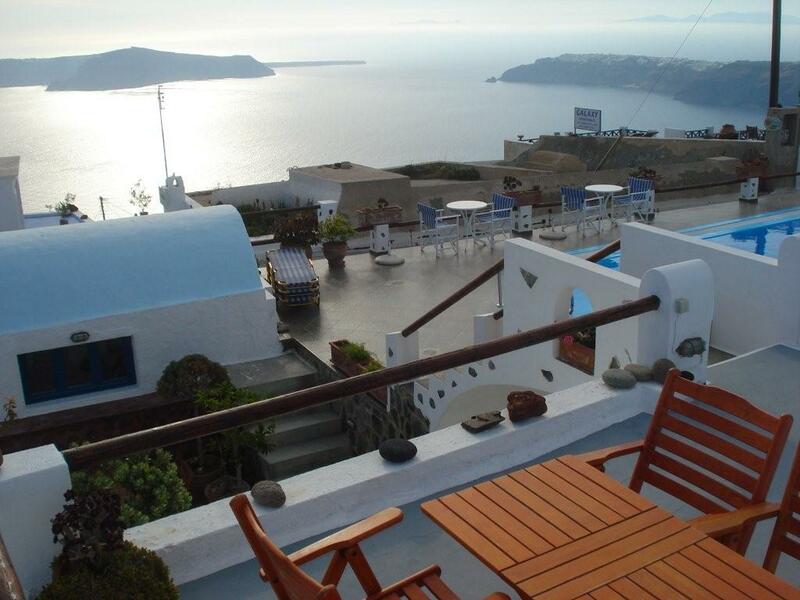 Built in pure Cycladic style but also with all modern facilities, this lovely complex has view to the Caldera, the vast Aegean Sea and the magnificent sunset of Santorini. 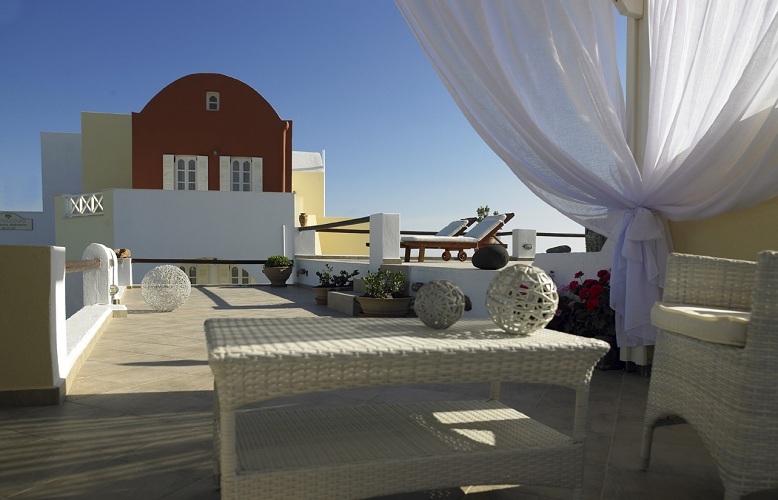 Ideal for couples, families or group of friends. Our staff will do their best to offer you the most pleasant stay. 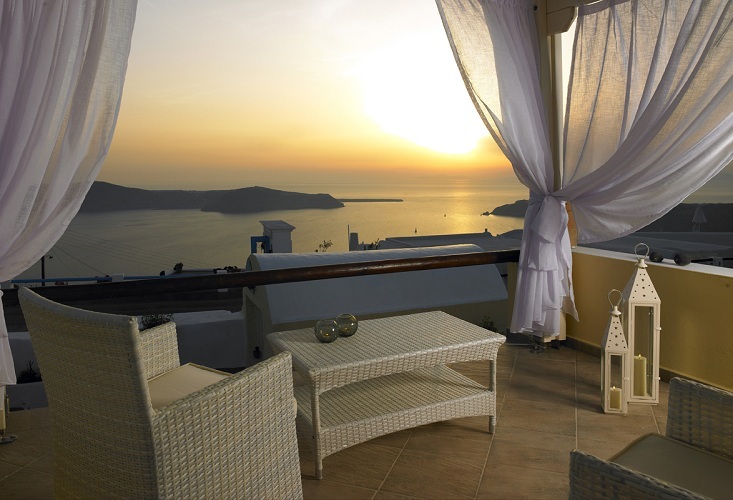 Our complex has 4 apartments and 10 studios, all spacious and modern. 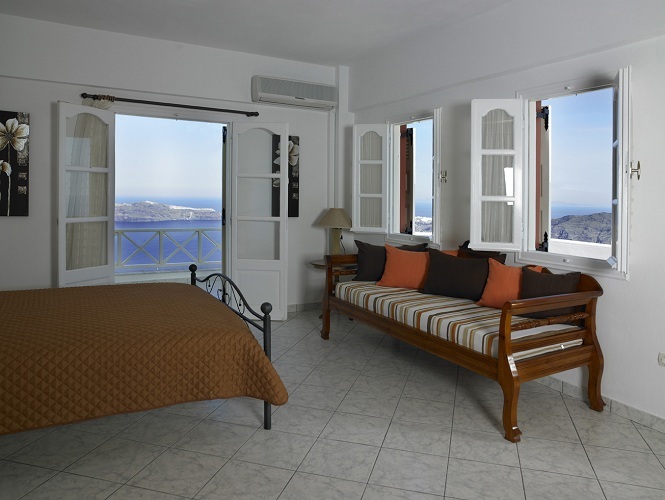 They have nice balconies with view to the caldera and the sea, air conditioning, WC with shower, TV, fridge and coffee machine. If asked, we can also provide you with a baby cot. We are happy to inform you that breakfast is served at the pool.